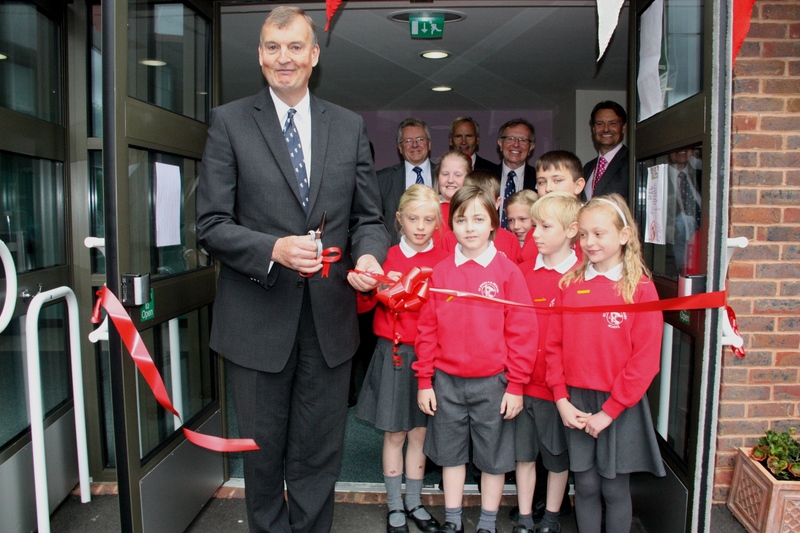 Kent County Council Leader Paul Carter was the guest of honour to open a new £2.37 million extension to St John’s primary school in Maidstone. The Provender Way, Weavering, school was officially opened on Tuesday (June 9) and can now provide education for 420 children aged 4-11 years-old. The school, which has doubled its intake to 60 pupils each September, now boasts 14 classrooms, a hall extension, a new playground and library area. The school was officially opened on Tuesday. Kent County Council, which funded the project, worked closely with the school having initially approached them with the idea back in 2012. Also in attendance at the opening was the Mayor of Maidstone Daniel Moriarty and the Archdeacon of Maidstone Stephen Taylor. KCC involved the school during both design and construction periods and it took place with minimal disruption to lessons. 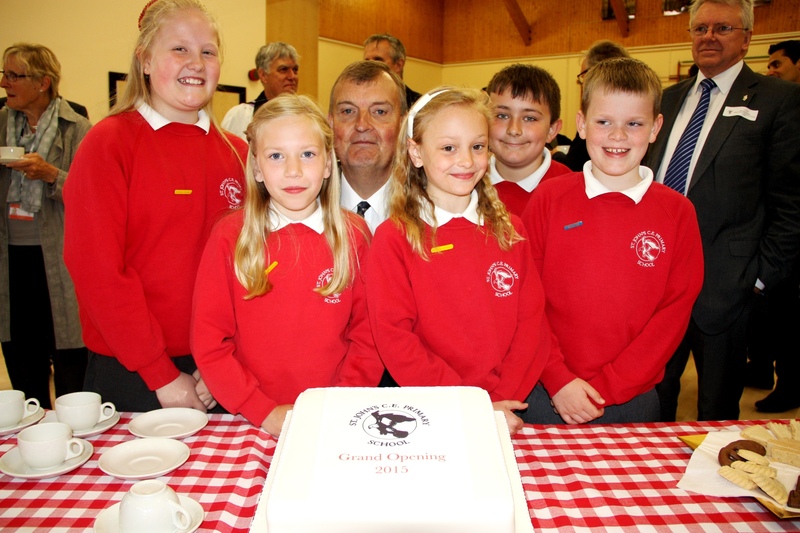 Getting down with the kids: KCC Leader Paul Carter joins the pupils at the official opening.